You knew it was going to happen. 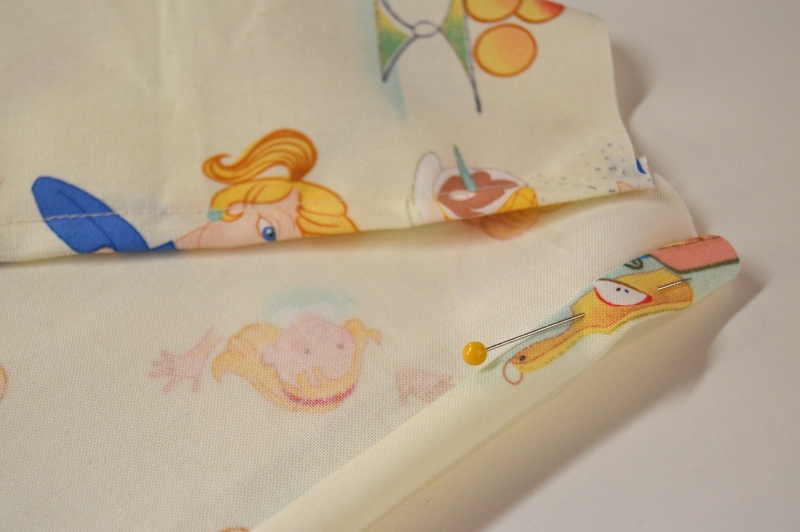 Bending over, knee deep in numerous fold of fabric and you run out of pins. 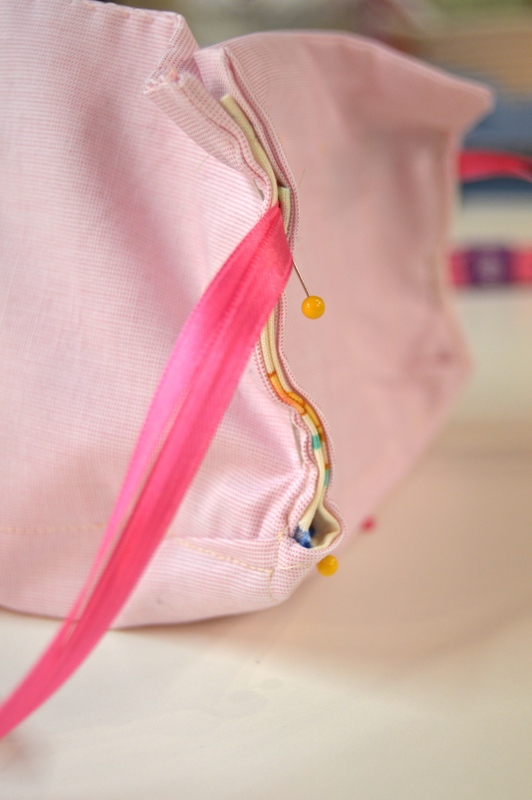 Unfortunately, the nearest pin cushion is conveniently out of reach, as you lay sprawled on the floor trying not to loose a carefully folded pleat. I have been in this position too many times to count and not just with pins. Tape measures, needles, thread, the overly-used seam riper are always somehow not near me when I need them. 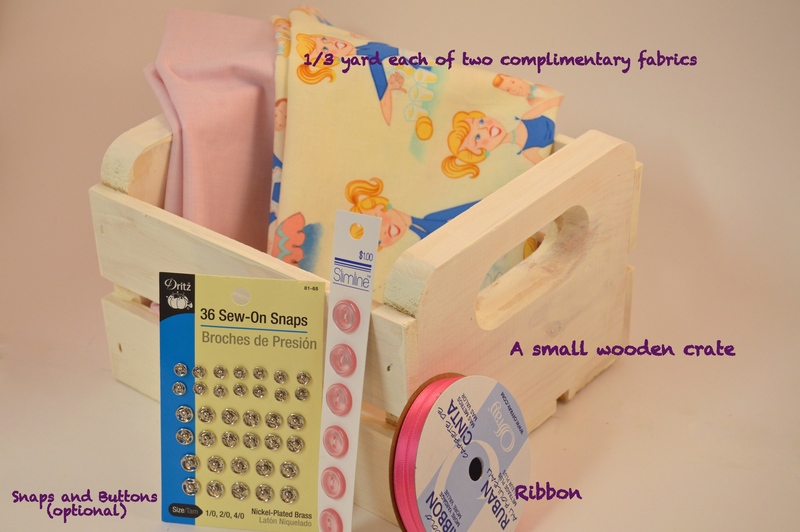 Introduce my traveling, mini, sewing crate. 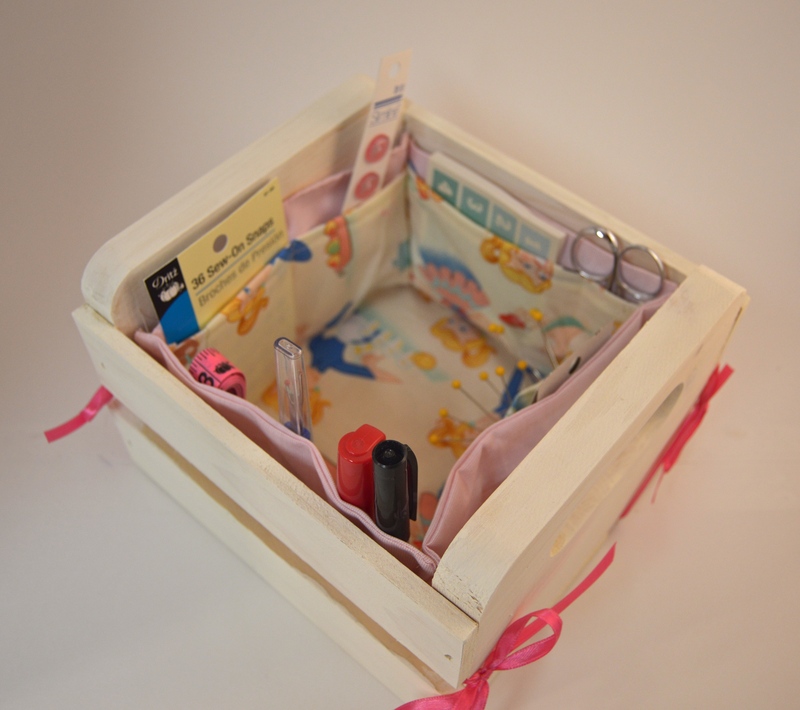 I wanted to create something that would neatly hold all of my needed supplies and yet stay safe and sturdy on the floor within reach. So on one of my numerous trips to the craft store, I came across this little $6 wonder. I quickly snatched it up for exactly this purpose. A couple of hours and some well used remnants later, left me with this new addition to my craft room. ***I painted my crate white…this, of course, is optional. 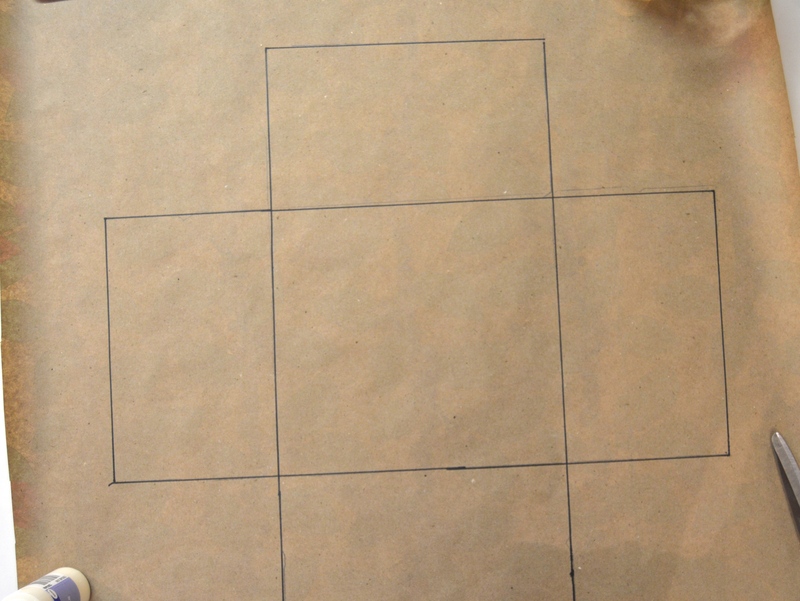 Make a template of the sides and bottom of your crate. 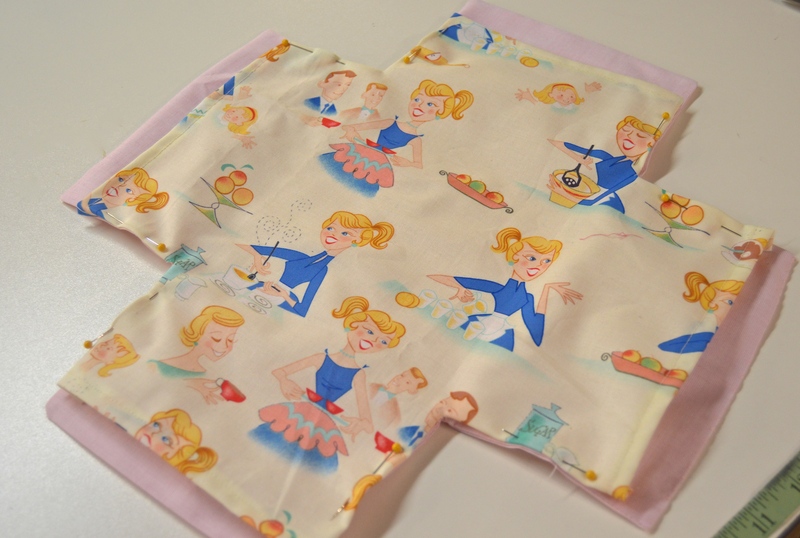 Cut out and place over the fabric you wish to be on the outside. You will need to cut out two of the outside pieces. 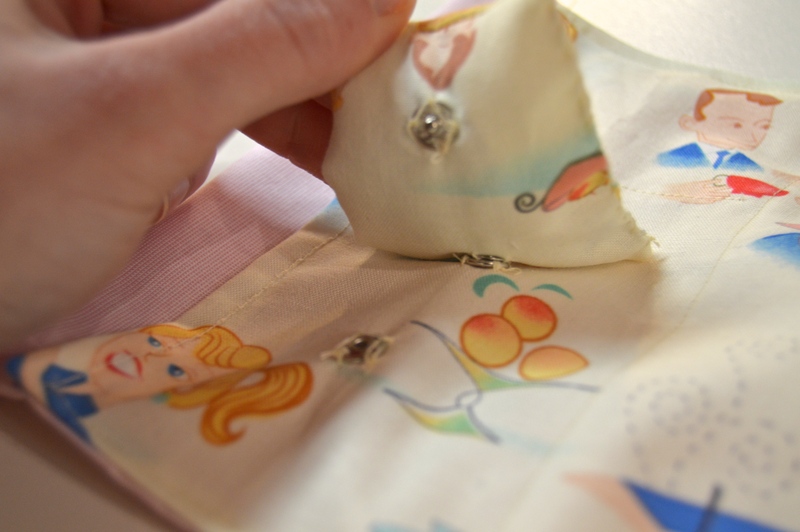 Stitch these, right sides together, leaving a small space. Turn right side out, press, and whip stitch the opening closed. *Note – because my crate had rather wide panels, I did not need to add in a seam allowance…depending on your crate, you may need to add them. 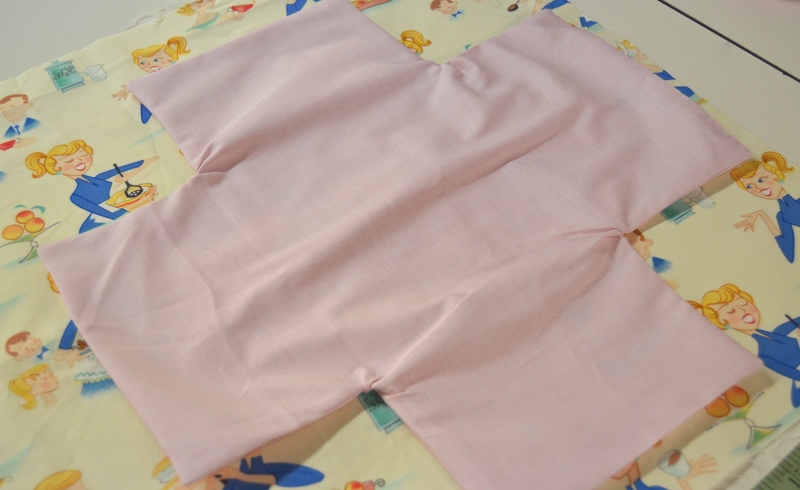 Now, lay the “outside” piece over the “inside” fabric. Cut out a half inch bigger on all sides. 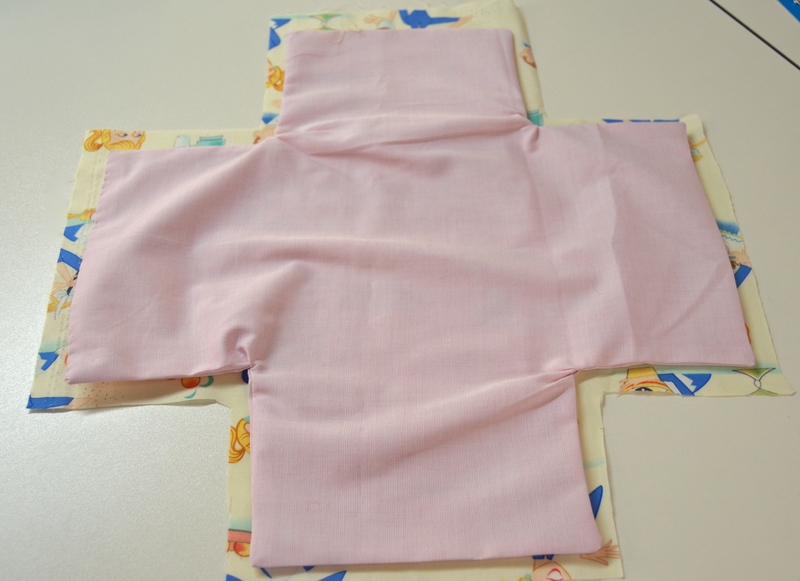 Fold the extra fabric under. 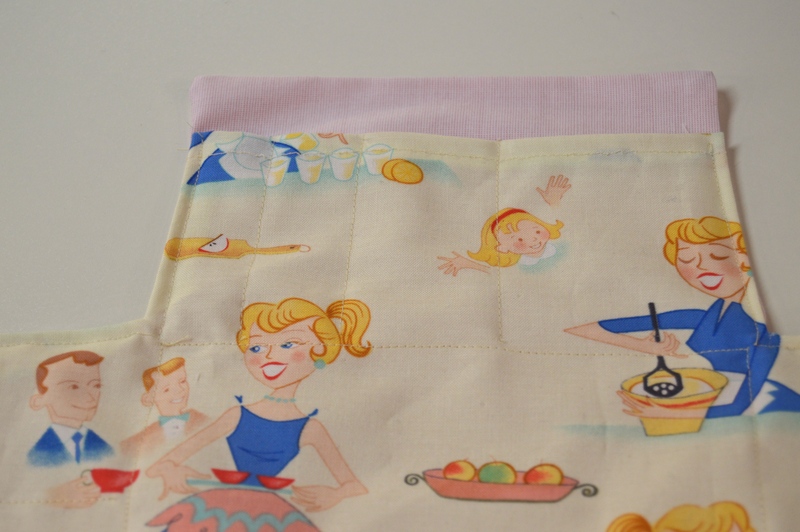 Pin and stitch on all sides. 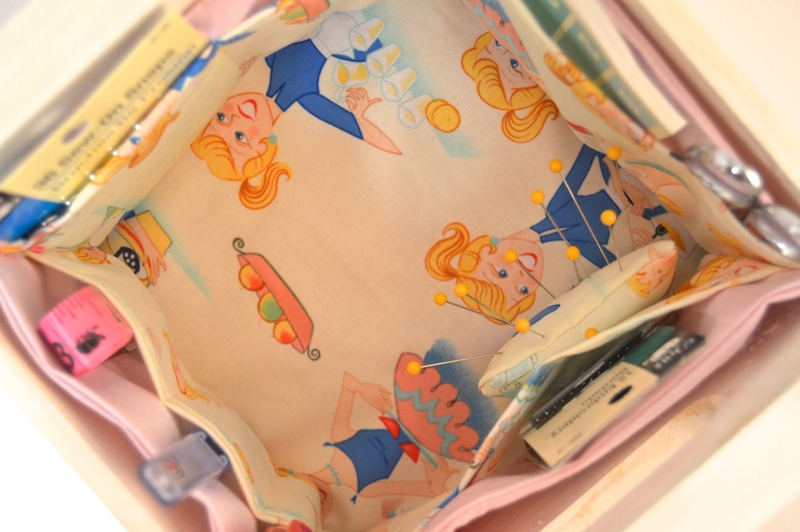 Pin to the “outside” fabric and stitch around on all sides. Make sure to leave the top open for the pockets!! Now comes the fun part. 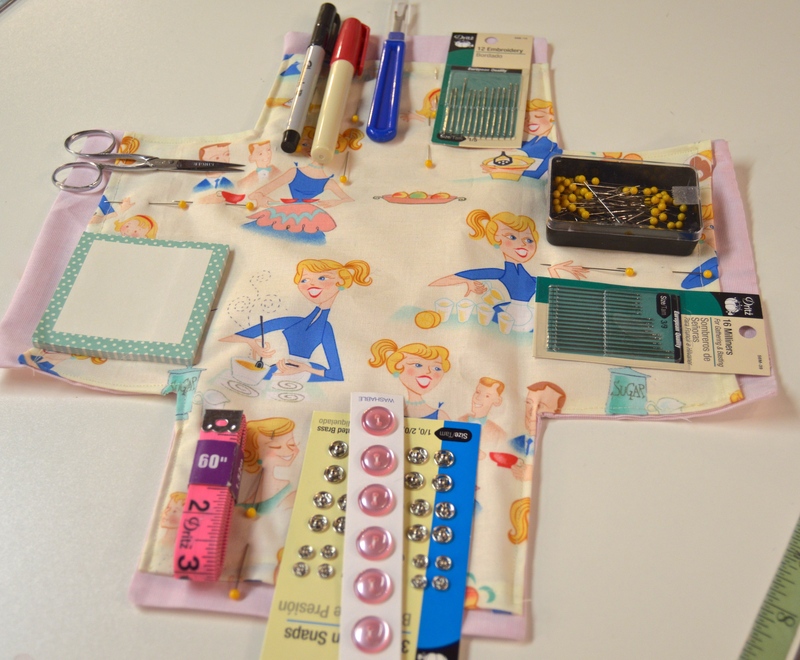 Figure out what you would like to store in your crate, and create custom made pockets by pinning around each desired item. 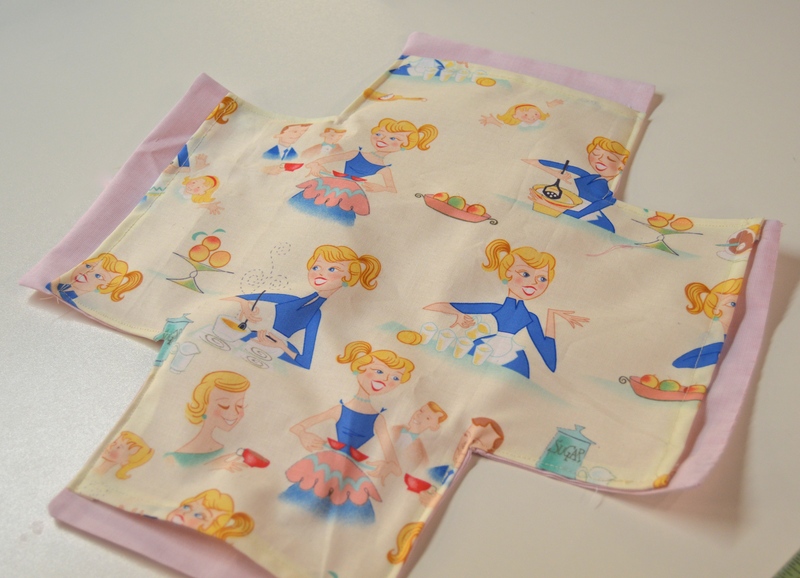 Stitch each pocket line and stitch the bottom of each pocket. 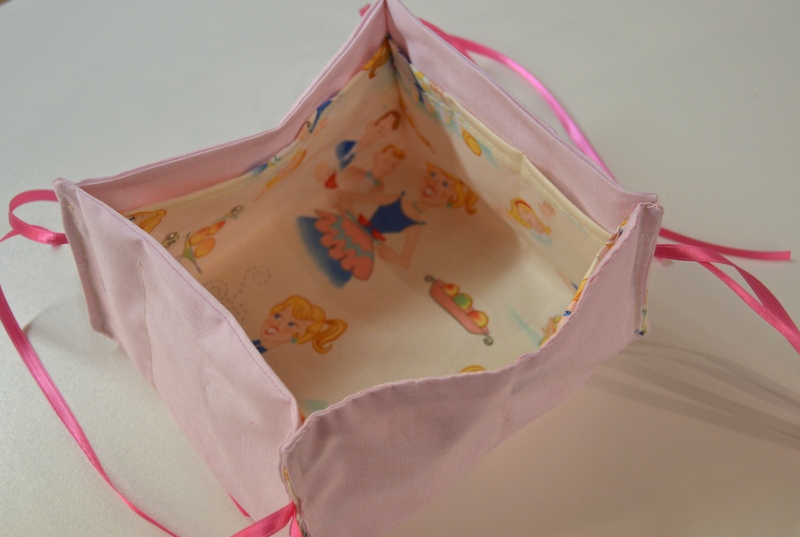 Optional: I wanted a removal pin cushion, so I made a small little pillow and attached snaps to the back of the pillow and to the crate liner. Figure out how you want to attach your liner to your crate. Mine has openings on the side and the bottom, so I used ribbon and pulled it through these openings. 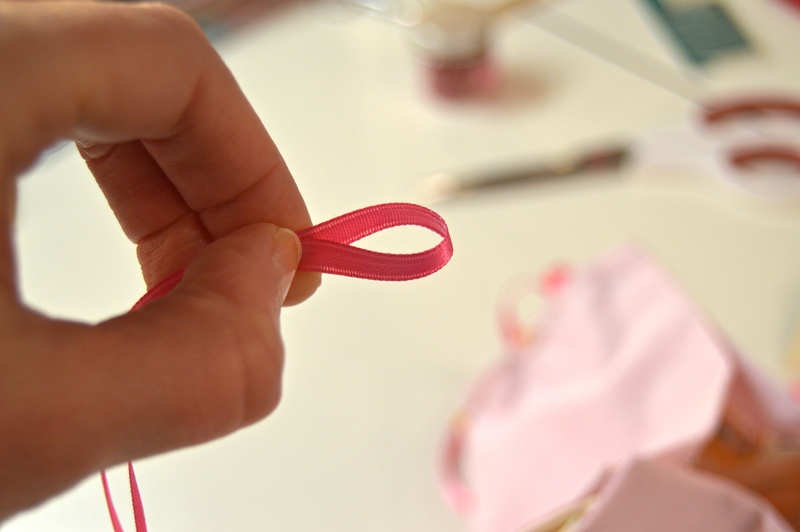 Pin your liner together (with ribbon folded in half, if applicable.) You should have a little basket. And that’s it! Insert into your crate, secure, and fill with all your supplies. 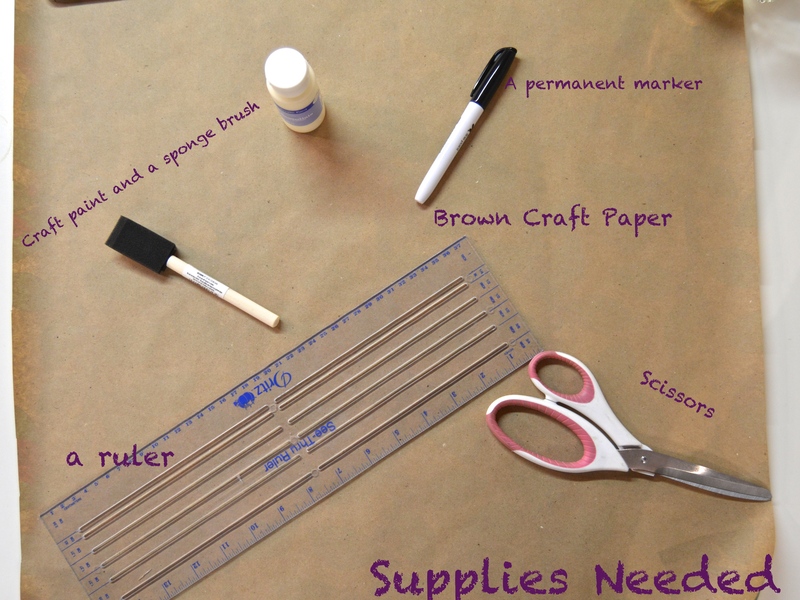 Never be with out your supplies again! !